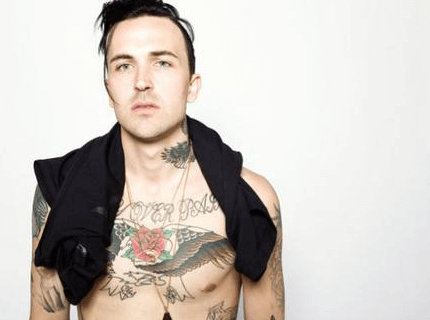 A few months ago, Alabama-bred rapper Yelawolf (real name Michael Wayne Atha) was performing in Los Angeles when he decided to, once again, jump off the stage and into the crowd. While that’s not normally a particularly risky move, this time, he not only broke someone’s nose, but also severely injured himself. It wasn’t immediately known just how severe until a performance in Madison, Wisc., sent him to the ICU with a ruptured spleen. It had a profound effect, to say the least. Atha’s path has never been a cakewalk. Born in the small town of Gadsden, Alabama to his then teenaged mother, Atha was bounced between Alabama and Tennessee while growing up. Exposed to both White America’s trailer parks and Black America’s ghettos, Atha grew up quickly. During a night when his mother just happened to be hosting a rowdy group of Run DMC’s roadies, Atha was exposed to the sounds of The Beastie Boys and Run DMC. Soon, rapping was all he wanted to do. After years of mix tapes and backup vocals, Atha released 2010’s critically acclaimed independent debut, Trunk Muzik, and his career took off. Picked up by Eminem’s Shady Records, he released his first proper full-length, Radioactive, in 2011. A mixture of Southern “crunk” rap and punk-rock influences, Atha solidified his own unique sound with this record. For now, Atha is focused on healing, working on his new record and continuing to tour. He’s been on the road consistently for two years and hasn’t stopped. This recent brush with death has taught him a lot about whom he is and where he wants to go. Yelawolf w/ Jimmy Hooligan, Galvanized Tron play the Slowdown, 729 North 14th St. June 3 at 9 p.m. Tickets are $20. For more information, visit theslow down.com.